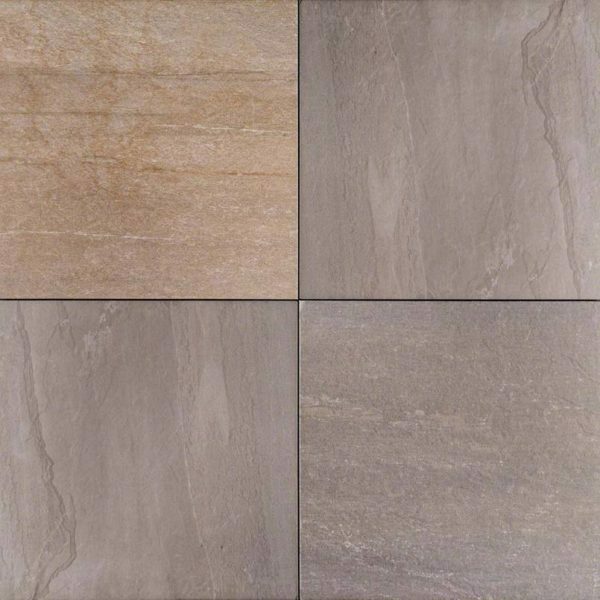 Pedra Azul Porcelain Pavers feature a matte finish that draws out the warm brown and beige tones and veins. These large format pavers are the perfect choice to use throughout the property, and are particularly at home in busy spaces like kitchens, baths, entryways, and laundry rooms where the look of natural stone is desired, but an easy to clean and durable material is needed. Pedra Azul Porcelain large format 24×24 matte finished pavers complement a variety of design styles, from traditional to contemporary, and are particularly suited for use in busy kitchens and baths.